Charlotte themes has been purchased 22, rating: 4/5 based on 4 reviews. 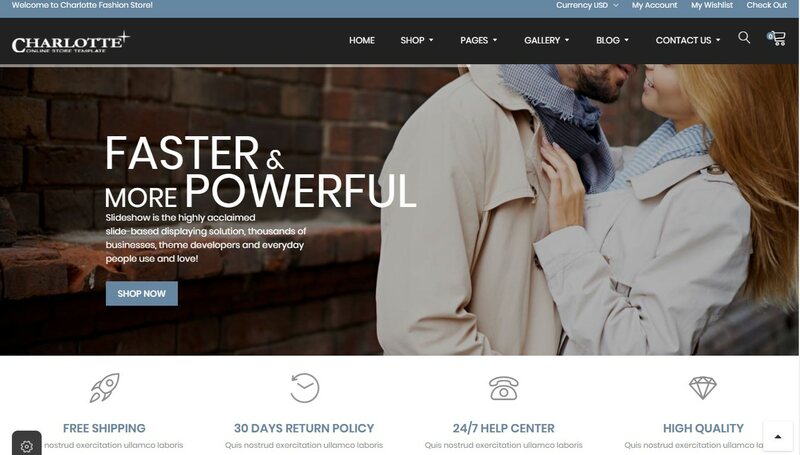 Charlotte is an excellent Shopify theme designed exclusively for fashion stores. Developed by Tadathemes, it has modern, clean and eye-catching design at first sight. In addition, Charlotte comes with a lot of powerful modules like Mega Menu, Slideshow, Revolution slider, SEO, Google fonts, etc and compatible with all different devices. Moreover, it has a flexible control panel with the necessary features for each Shopify store. Select Charlotte to bring significant revenues as well as improve the brand for your store.